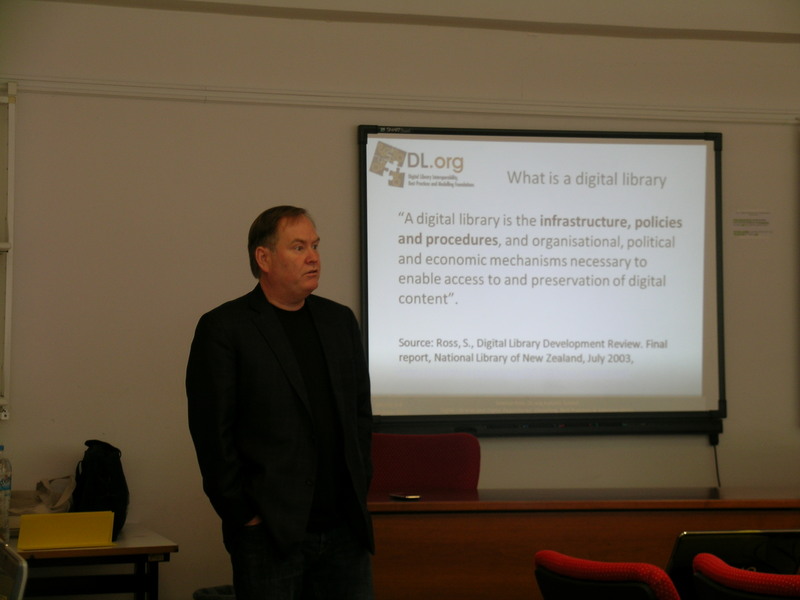 “A Digital Library is the infrastructure, policies and procedures, and organisational, political and economic mechanisms necessary to enable access to and preservation of digital content”. Source: Ross, S. Digital Library Development Review. Final Report, National Library of New Zealand, July 2003. 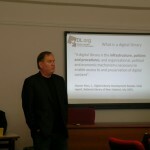 Defining a Digital Library, or DL, and the concepts that characterise it marks an important step not only towards modelling but also approaching interoperability, a complex, multi-layered and context-specific concept, which encompasses different levels along a multi-dimensional spectrum ranging from organisational to technological aspects. Herein lies the focus of the DL.org Autumn School dedicated to Digital Libraries & Digital Repositories: Modelling, Best Practices and Interoperability, running 3-8 October in Athens. The event aims to deliver insights into Digital Library and Digital Repositories, shining the spotlight on interoperability challenges and the core concepts for DLs captured in the DELOS Reference Model, which is being taken forward by DL.org. These six core concepts are: content, functionality, user, policy, quality and architecture. Seamus Ross, Dean of the Faculty of Information, University of Toronto, one of the Autumn School experts, is pictured above. This entry was posted on Thursday, October 7th, 2010 at 4:28 pm	and is filed under Event Blogs. You can follow any responses to this entry through the RSS 2.0 feed. Both comments and pings are currently closed.